In spite of the alarm raised by concerned groups, the Federal Government might be unable to save 57 Nigerians facing the death row in different countries. Besides, the Chinese government has requested the permission of Nigeria to cremate the corpses of about 30 Nigerians in that country. Permanent Secretary, Ministry of Foreign Affairs, Ambas-sador Joe Keshi, told THISDAY that several efforts by the government at the bilateral level is unlikely to change the course of those governments regarding the accused. “If you ask me whether I am optimistic that these Nigerians will find their way back home, the answer is no, I am not. I am talking about the Nigerians on death row in countries all over the world," said Keshi. The ambassador stated that the government is “between the devil and the deep blue sea” because of the questionable conduct of some of its citizens abroad. He explained that about 14 people in Libya are accused of murder, while 18 are facing the same accusation in Indonesia. 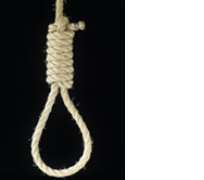 In total, there are about 57 Nigerians facing the death penalty in Indonesia and China, he stated. Keshi explained that the country is confronted with huge consular problems given the "problematic" nature of some of these immigrants. He explained that unlike the first and second wave of Nigerians that left the country, the third wave is more often than not unskilled, uneducated, and unaccustomed to rules in their host countries. Consequently, the government is forced to deal with the high incidence of illegal immigration and unwillingness by some immigrants to adapt to the culture of the new environment, he argued. "They do not understand the language and the culture. And to crown it all, they are not even ready to understand some of these things. Most of them have been lured into going abroad by syndicates with the promise of jobs and a better life abroad. Regrettably, apart from Edo where the issue is of the girls going into prostitution, the areas most affected are the Eastern state. Anambra, Imo, Enugu, Abia and a little bit of Ebonyi," he said. He explained that many risk their limbs to cross the Sahara desert, sometimes ending up in Libya. Others that are desperate get involved in illegal drug trafficking, racketeering, and all sorts of crimes. Part of the difficulties faced by the Nigerian authorities is that some of the immigrants use fake names unidentifiable by their relations. This problem has become so big that it is difficult to track people, he said. As for China, he noted that the government is reluctant to allow the authorities over there to burn the corpses of Nigerians. He explained that the Chinese have decided to burn the bodies because their relations have not stepped forward to claim them. "We are reluctant to burn these bodies but my fear is that we have to make the decision within the next few days because they have given us the last notice and if we cannot find relations, we are going to ask them to cremate the bodies and keep the ashes until some people begin to look for their fellows and we give them,” he said. Another hurdle in China is that the penalties for overstaying one's visa is severe, making it more difficult for offenders to pay up and leave the country voluntarily, he stated. Consequently, the Nigerian authorities have met with the Chinese government on how some of the rules could be relaxed to enable offenders leave the country. However, some of them are not willing to leave, he added. "But, then the most difficult thing is that the people we are trying to plead for are not even ready to go. It will be unfair for anybody to assume that government is not doing enough. That not withstanding, I am very confident that based on recent talks with some countries we will be able to find our way through," he said. Commenting on the way forward, Keshi said the government should mount enlightenment campaigns across the country. Also, the state and federal governments need to provide opportunities for citizens, he said. “The onus is on the state and federal governments to accelerate development, expanding this country's industrial and agricultural base in order to accommodate the growing population. Also, we have to look into seriously controlling our population," said he. He disclosed that the government had negotiated a series of agreements with the British and other European countries to encourage voluntary repatriation. The problem with that policy is that many do not want to come back home, he said. In his view, the immigrants are responding to the hostile environment back home, the reason why effort should be geared towards improving conditions at home. Keshi further disclosed that Nigeria had entered into agreement with a number of countries with regard to prison transfer. No country will appreciate illegal immigrants roaming its streets and breaking its laws, he argued. He explained that the government steps in once it is aware that Nigerians have been arrested for any reason. It tries to negotiate their release and encourages deportation, he said. However, there are legal processes for deportation in the countries concerned, he added. Chairperson of House of Representatives Committee on the Diaspora, Hon. Abike Dabiri-Erewa had raised an alarm on the plight plight of Nigerians on death row in Libya. Since then, the African Commission on Human and Peoples' Rights (ACHPR) had asked the Libyan government to suspend their execution. It is not certain the course of action to be taken by Libya.